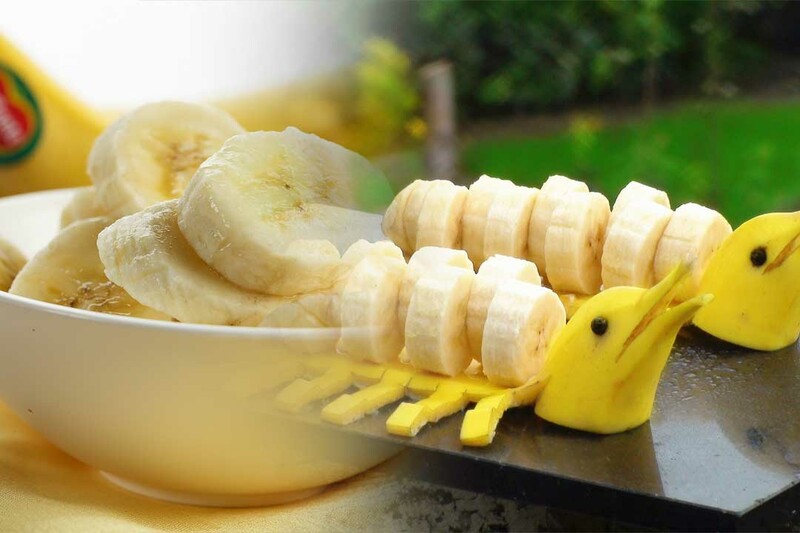 Banana is easily one of the most consumed fruits in the world, and it is not only because of the rich nutrients but also the rich taste of the fruit. They are a very core part of many of the deserts, parfaits and even baked goods that you enjoy daily. Individually speaking, bananas are also consumed after cooking via frying, boiling, stewing or several other methods. Mashed bananas are popular foods for babies and small toddlers. The nutrient that bananas inhabit the most is potassium. It is understood that a single large-sized banana contains enough potassium in it to fulfill your more than half of the daily requirement. Then you also have nutrients like iron, magnesium, Vitamin B6, riboflavin, niacin and other antioxidants as well. They are also a very good source of fiber which helps in digestion and keeps the heart pumping properly by reducing the blood pressure. With a production capacity of over 6.9 million metric tons annually, Brazil supplies roughly 10% of the world’s total banana production. The state of Sao Paolo boasts the largest overall area of banana cultivation in the country. Brazil is also one of the major exporters of bananas, especially in South America. The countries that mainly import from Brazil are Peru, Uruguay, Argentina, and Bolivia. Only recently, Ecuador has gone past the production scale of Brazil annually and has produced more than 7 million tons of bananas in a single year. 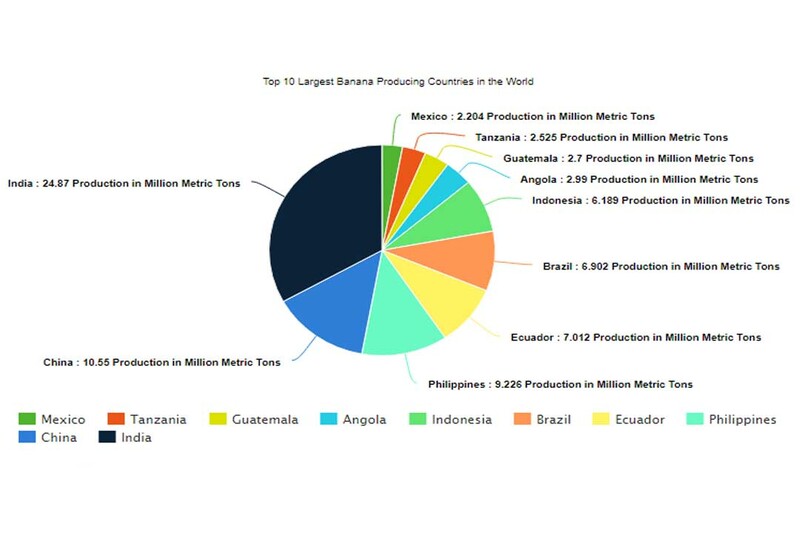 Most of the bananas produced in the country are the result of the banana market demand in the western hemisphere considering that most cultivation areas are privately owned. Ecuador has a larger export capacity than its rival in production, Brazil, also considering its population is 12.6 times smaller, thus having a considerably less domestic consumption. 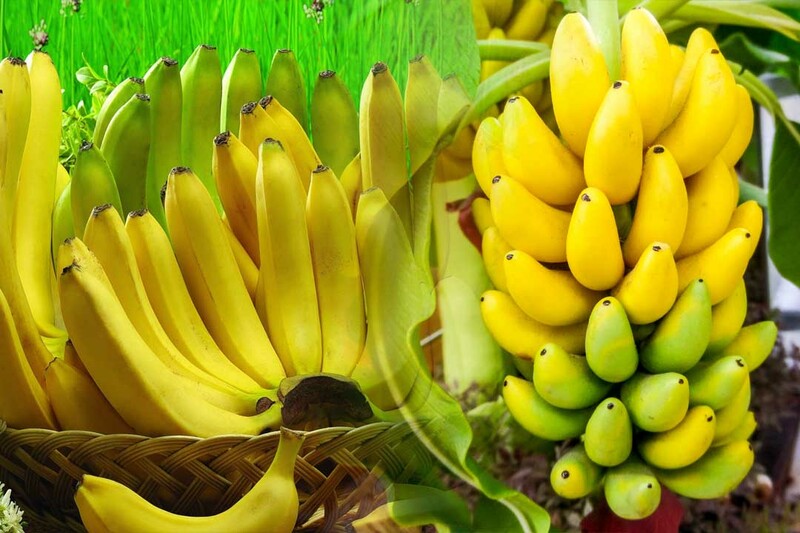 The Philippines is the third country on the list with over 9.2 million productions of bananas yearly. Because the Philippines is an archipelago nation with hundreds of Islands, most of the banana plantation is done in provinces that are among the larger islands like Bukidnon, Davao, and others. 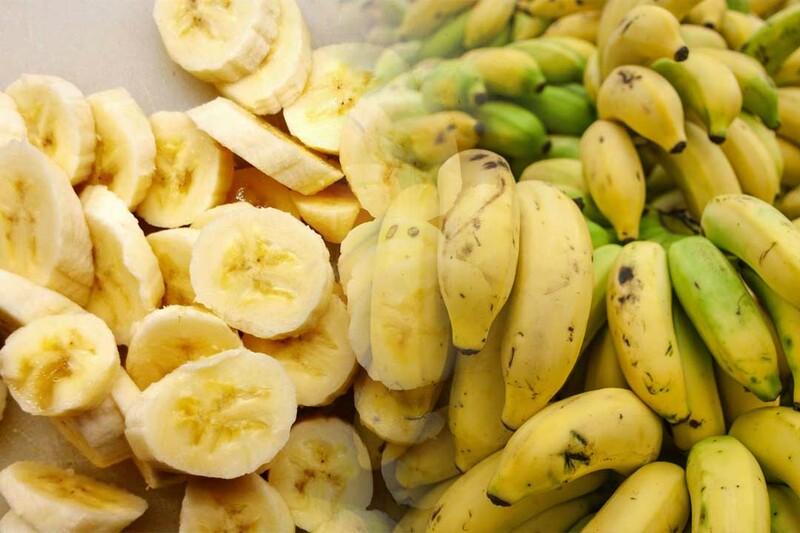 Cavendish and Saba are the most popular types of bananas grown in the Philippines. China’s production capacity has dwindled over the years as it even approached more than 12 million tons in the recent past. Now China’s annual production is just over 10.5 million which is still pretty impressive but not nearly enough to make the country a powerhouse in banana exports. India is the largest banana producing country in the world, and because it produces 2.4 times more bananas than China with roughly the same population, it is very impressive indeed. 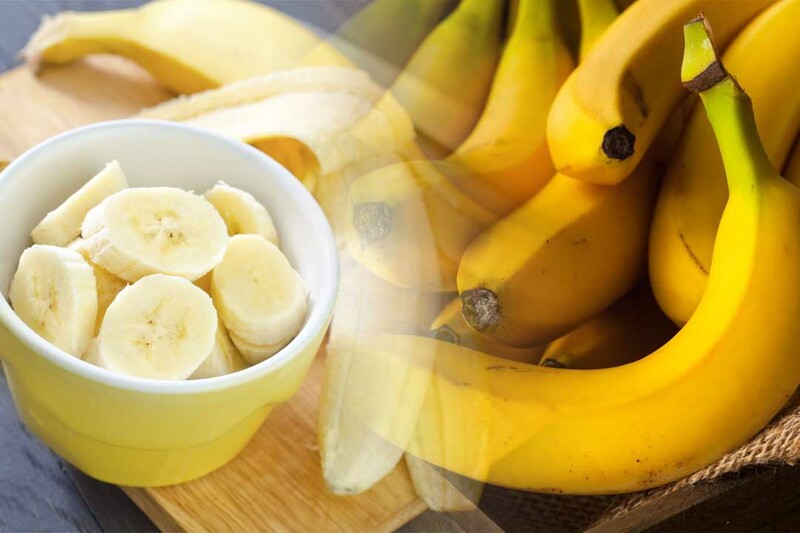 It is the reason why India is the major player in banana exports market as it even exports to the western regions. Note: The following data is result of a sample survey, rounded off and subject to future changes. Uganda also technically grows large quantities of bananas, 9.8 million to be exact. However, the majority of these are plantains which even though are part of the banana family, they not edible raw. So, they cannot be included in the list of regular bananas that can be consumed without cooking.